Product prices and availability are accurate as of 2019-04-04 23:56:35 EDT and are subject to change. Any price and availability information displayed on http://www.amazon.com/ at the time of purchase will apply to the purchase of this product. 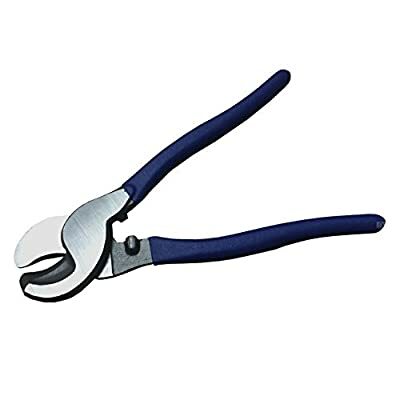 • Electrical cable wire cutters. • Length: 10 Inch / 250mm. • Drop forged and heat treated for increased durability. • Specially designed for excellent cable cutting performance. • Dipped handle for comfort and grip. • Other types of cable cutters available in our shop. Electrical Cable Wire Cutters. Length: 10 Inch / 250mm. Drop forged and heat treated for increased durability. Specially designed for excellent cable cutting performance. Dipped handle for comfort and grip.